This was a week for visceral outrage in the face of unspeakable human rights atrocities. The Orange Lout signed an executive order countering the effects of his previous decision separarting children and infants from their parents, then scattering them to the winds. The Trump message, scrawled clear as day and quite literally on the back of Melania Trump, was that the Trump administration could not care less. 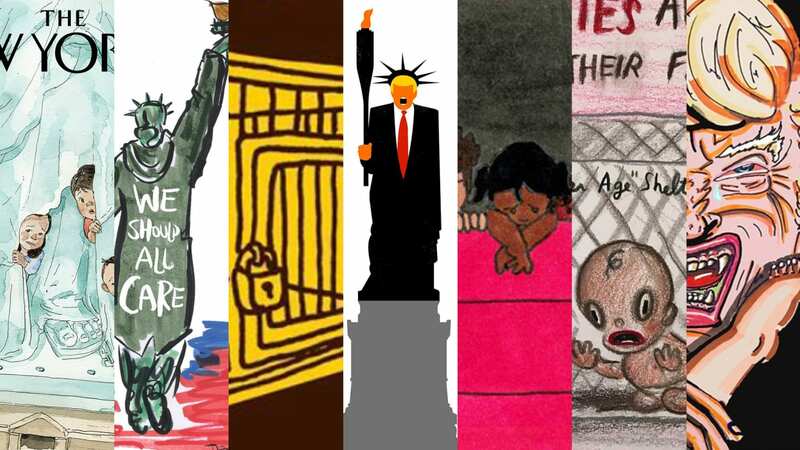 Independent artists, students, and even actor Jim Carrey, created striking visuals that surfaced on covers of TIME and the New Yorker. (See examples.) The U.S. withdrew from the U.N. Human Rights Council, Trump ordered the creation of a new Space Force. The gnomes running the Dow Jones Index removed General Electric, the last 19th century holdover, from its ranks. Open season on black Americans by cops continued, in an episode with personal relevance. In spite of the wholesale revulsion expressed by a distraught populace, over the weekend Donald Trump continued to use fear of MS-13 to justify his ‘zero-tolerance’ immigration policy, but only 180 of the 187,000 people apprehended at a major border crossing are connected to the violent criminal group. It is essential to remember that Trump’s executive order was not a reversal or a capitulation. The administration’s “zero tolerance” policy, under which everyone crossing the border illegally, even those who present themselves as seeking asylum, is subject to criminal prosecution, remains in place. Only the kidnapping of children has been held in abeyance. For now. In pursuit of his singleminded objective to control each day's narrative and the news cycle, thus to suppress his pending exposure of the world's largest money-laundering operation, the current White House incumbent doubled down on crazy. 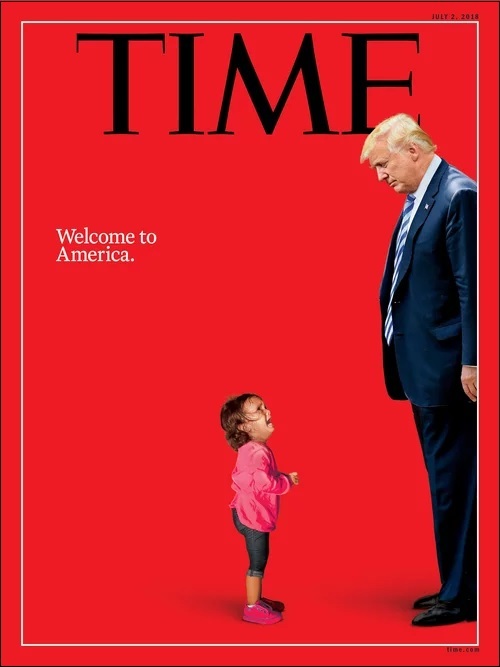 Trump’s inhumane "zero-tolerance" policy forcibly removed children, toddlers and babies as young as three months old from their immigrant parents attempting to enter the United States at our southern border, even those seeking asylum. 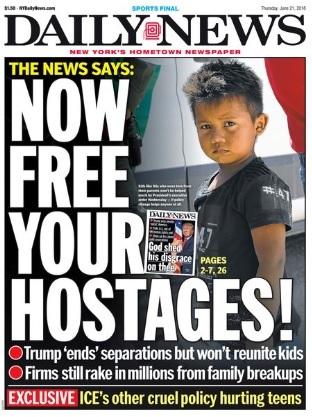 The Trump ruling junta executed this policy in a move designed to outrage, to alienate, and most important, drive the name "Robert Mueller" from the front pages. The outcry and revulsion from kidnapping without due process, and incarcerating them in internment camp conditions caused schisms in the solid Republican Congressional majority. Even longtime GOP strategist Steve Schmidt threw in the towel. 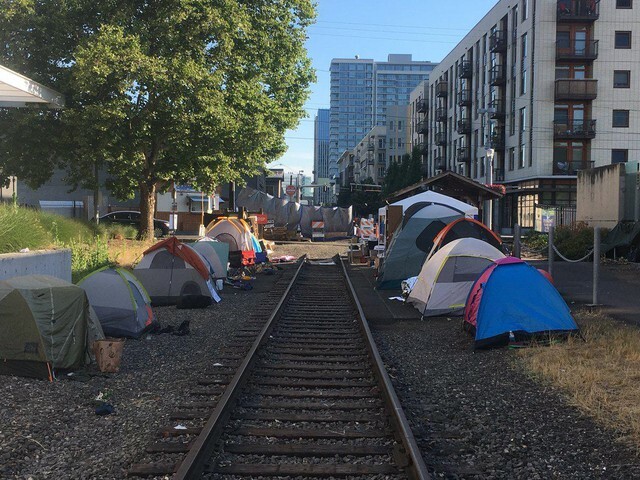 Classic Occupy. The facility reopened, but the backlash continued to grow. The policy credited to Goebbels cosplayer Stephen Miller started to smell like dead fish within 24 hours, and by Wednesday Trump had signed an executive order modifying his earlier decision. 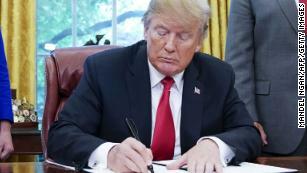 Here is what the executive order does: It keeps families together, keeps them under DHS control, does nothing to reunite families already separated, seeks indefinite detention with a DOJ challenge to Flores v. Reno, a consent decree that limits government detention of immigrant children to 20 days. 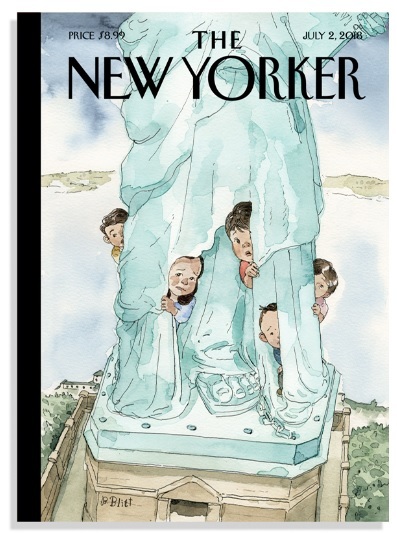 If successful, they’ll be able to hold families indefinitely. It enlists military facilities as concentration camps. It also blames Congress, since Congress failed to pass immigration legislation, leaving the administration no choice, even as it reversed course. If these policies seem irredeemably cruel, and the characterization of would-be immigrants as "insects" and "vermin" spectacularly racist, remember that from the beginning, cruelty was the whole point. On Tuesday, The FSoA withdrew from the world’s most important human rights body in protest of that body's frequent criticism of Israel’s brutal and genocidal treatment of Palestinians. In other words, for telling the truth. UN Ambassador Nikki Haley, that counter of sustaining votes, scrivener of dissenters and settler of scores, announced this latest effort by the Trump administration to withdraw and diminish those international organizations and agreements it finds unsuitable to the reward of cronies and punishment of opponents. It was the first time a member has voluntarily left the United Nations Human Rights Council. With one deft foreign policy stroke, the US now joins other rogue states such as Iran, North Korea and Eritrea, as the only countries that refuse to participate. “If the Human Rights Council is going to attack countries that uphold human rights and shield countries that abuse human rights, then America should not provide it with any credibility,” Ms. Haley said. Human rights advocates denounced the decision. Prime Minister Benjamin Netanyahu of Israel welcomed the decision. “The U.S. decision to leave this prejudiced body is an unequivocal statement that enough is enough,” he wrote on Tuesday. The withdrawal came as the administration faced worldwide condemnation from rights groups and governments. Your tax dollars at work. Done in your name. On Monday, the floundering Orange Lout found yet another subject to which to attempt to change the subject from #TrumpRussia. And this one is really bigly. He ordered the Pentagon to establish a stand-alone Space Force as a new branch of the armed forces. "We are going to have the Air Force, and we are going to have the Space Force, separate but equal," Trump said at a meeting of the National Space Council at the White House. "It is going to be something so important." "Our destiny beyond the earth is not only a matter of national identity, but a matter of national security, so important for our military and people don’t talk about it," Trump said. "When it comes to defending America, it is not enough to merely have an American presence in space, we must have American dominance in space." "Congress has asked DoD to study how we handle space. We still don’t know what a Space Force would do, who is going to be in it, or how much is it going to cost," Turner said. "After we get the report that we required as a legislative body and the president signed off on, then this issue can be appropriately evaluated for what’s best for national security." But boy, it changes the hell out of a subject. At least for a news cycle. 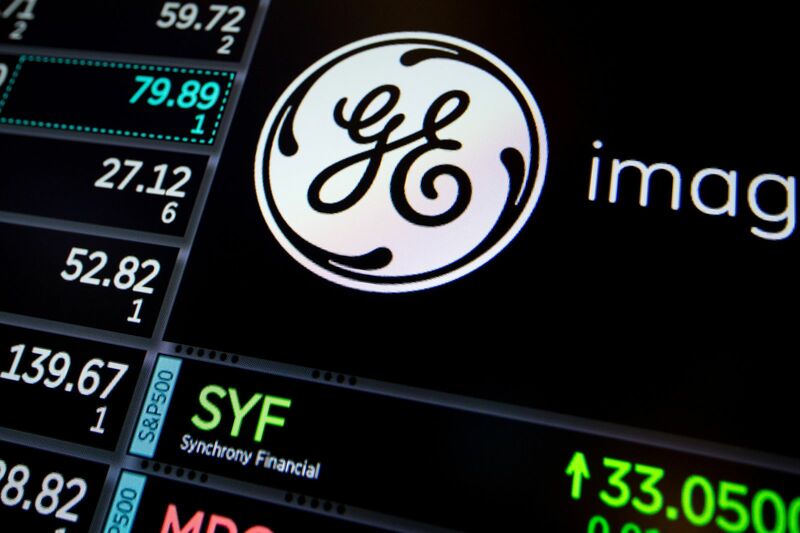 General Electric added shame to suffering on Tuesday as overseers of the Dow Jones Industrial Average kicked the company out of the benchmark index it had inhabited for more than a century. GE will be replaced by Walgreens. The slippage is just another trailing indicator for what was once the world’s most valuable company. Down 26 percent, GE had been the Dow's worst performer in 2018, as it had been last year. 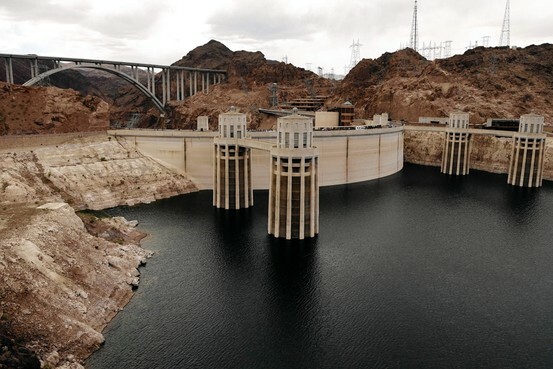 Once an embodiment of American industry and managerial know-how, GE had arguably died some time ago. The DJI announcement was just the first shovel of dirt on an open grave. On Wednesday, local police executed 17-year-old Antwon Rose in East Pittsburgh, PA. The boy was fleeing from a traffic stop and and unarmed when he was shot in the back by a cop who had been sworn onto the force mere hours earlier. This story had particular resonance for me because it happened on the next hill over from where I was raised, and I was visiting friends in the area when it occurred. A bystander’s video showed the officer opening fire as Rose fled from police. In terms of seeking justice, video is the great equalizer. Video does nothing to stem the tide of summary executions of black Americans by rogue cops, but it marginally increases the likelihood of survivors successfully seeking accountability. According to the Allegheny County Police Department, police initially responded to reports of a shooting around 8:20 pm on Tuesday, finding a 22-year-old man who had been shot but was taken to the hospital and survived. Police put out a call for a vehicle that was seen fleeing the scene, and officers stopped a car that they said matched the description. While they were detaining the driver of the car, two people jumped out. An officer opened fire, killing a 17-year-old. 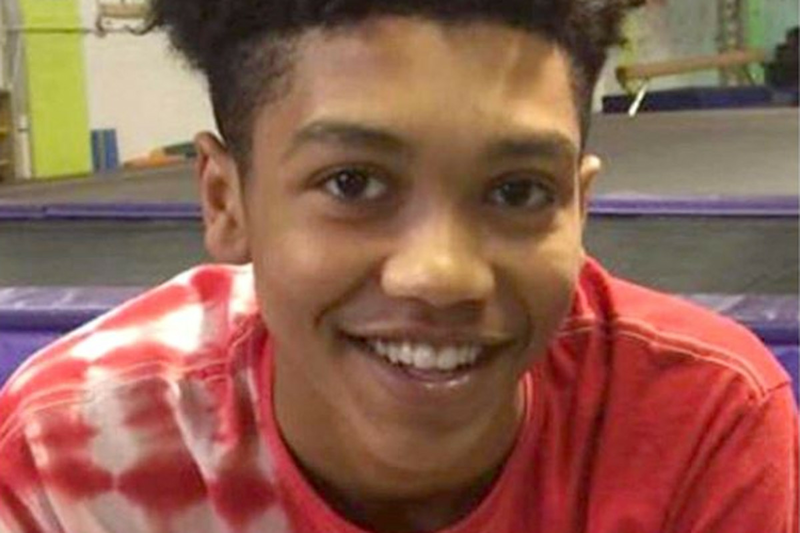 The 17-year-old was Antwon Rose, a student at Woodland Hills School District, according to Shelly Bradbury and Andrew Goldstein at the Pittsburgh Post-Gazette. Allegheny County Police Superintendent Coleman McDonough said Rose was unarmed, although officers found two guns in the vehicle he fled from. The 20-year-old driver of the vehicle was released after he was questioned by police. The third occupant of the car remains at large. A bystander captured a video of the police shooting and posted it on Facebook. It shows two people running away from police cars, with their backs to the officers, as police open fire. Multiple law enforcement agencies are investigating the shooting. On Wednesday night, four of us were driving to a pizza restaurant in East Pittsburgh, a favorite from childhood and adolescence. We'd been planning it all week. We drove east in what for Pittsburgh is a serious storm event, but in coastal Virginia is known as "rain." About half a mile from our destination, we came to a red light where several cop cars were parked, lights flashing. A large trailer truck was trying around in the intersection and reversing field. Another cop car drove toward us and against traffic, parked his car at a slant directly at us. WTF? I moved to turn around by moving to the left lane and asked a cop what the issue was. (This area had previously received national notoriety some weeks ago when landslides demolished houses and blocked PA Route 30, so another rain-induced landslide calamity was by no means out of the question.) The cop said people ahead were demonstrating. In a driving rain. I wondered what they could be possibly demonstrating about in such conditions, as we were not yet aware of the shooting. We tried to reach our destination another way, by navigating through the rain-slicked streets of our old neighborhood and going back down the hill and approaching from the other direction. The cut-through I recalled from adolescence had been removed at some point in the past forty years. With no other recourse, we turned around and left. Only when we got back to my friend's house did I learned of the execution by cop. Antwon Rose was from all accounts a good, bright kid. He attended the same high school we did. The cop is reported to be being treated for "shock," a ruse doubtless from the police union manual on how to execute the unarmed black American without consequence. I expect he will be placed on "administrative (meaning paid) leave," and receive a vacation for several months, before his pro forma hearing and exoneration a la Ferguson, Cleveland, et al. The demonstrations in East Pittsburgh have continued for at least four straight days. Other short takes worth mentioning as they whiz by include the passing of conservative columnist Charles Krauthammer, the introduction of retaliatory tariffs on US goods by the European Union in an attack on Trump's trade war, Disney raised their bid for Fox assets to $71.3 billion in cash and stock, topping Comcast, Instagram hit 1 billion monthly users, SCOTUS punted on its biggest decision of its term so far regarding partisan gerrymandering, and a sporting event called the World Cup began group play. Another week as we spin toward Seneca's cliff. Surly1 is an administrator and contributing author to Doomstead Diner. He is the author of numerous rants, screeds and spittle-flecked invective here and elsewhere. He lives a quiet domestic existence in Southeastern Virginia with his wife Contrary. Descended from a long line of people to whom one could never tell anything, all opinions are his and his alone, because he paid full retail for everything he has managed to learn. Russ on Collapse? It’s already here. Re: Things That Make Me Say, "Dafuq?" 📺 Morning Collapse Wake-Up Call: Ruh Roh....RE Gets MOAR Technology! Deaf, Dumb and Blind : Who Is Better at Conceding They Are Wrong – Conservative or Liberal Extremists? Society Is Made Of Narrative. Realizing This Is Awakening From The Matrix. Trumped and Stumped: A Cure for Political Polarization? Do Central Bankers Recognize there is NO GROWTH? Kurrency Kollapse: To Print or Not To Print?